Physicists at Johannes Gutenberg University Mainz (JGU) have received the announcement of the winners of the 2013 Nobel Prize for Physics with considerable delight. The awarding of the prize to François Englert and Peter Higgs pays tribute to their theoretical prediction of the Higgs boson, the existence of which was actually confirmed in 2012 at CERN in Geneva. "For decades, many experimental physicists have been trying to detect this particle, and it was only last year that the search finally proved successful," said Professor Volker Büscher of Mainz University. "It is really a great honour that the Nobel Prize for Physics was awarded this year for the prediction of the Higgs boson." 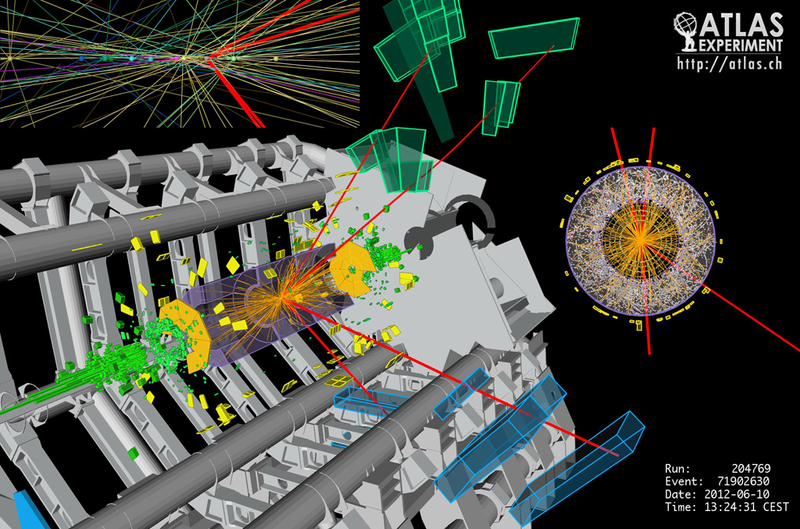 The discovery of the Higgs boson was made possible by the data recorded by the ATLAS and CMS detectors at the CERN European research center in Geneva, Switzerland. Scientists from Mainz were directly involved in this discovery. The Experimental Particle and Astroparticle Physics (ETAP) working group at Mainz University contributed significantly to the analysis of data from the ATLAS experiment, and also designed and constructed parts of the detector.